For all your residential & commercial construction needs. PowerKleen Construction Services strives to provide professional commercial construction services and residential remodeling services at affordable rates. We also offer property preservation services and specialize in quality residential and commercial repairs, renovations and improvements. Call PowerKleen Construction Services TODAY for a free estimate at (240) 274-7258. With the busy lives that most of us lead, it's impossible to tackle all of our home maintenance projects alone. Contact PowerKleen at (240) 274 7258, and let us help. We are your home improvement experts. At PowerKleen Construction Services, we value our customers and labor diligently to ensure they are satisfied with our work. With nearly 20 years of experience in the field, we have established and maintained a reputation for delivering quality service at low prices. 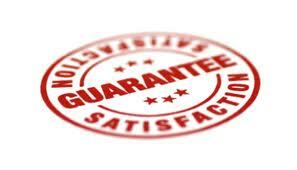 All work performed by PowerKleen Construction Service comes with a solid warranty. PowerKleen Construction Services is available by phone or e-mail or click here and drop us a quick line.